It’s amazing how ethnocentric we can become, even those of us who feel we are above such petty distinctions and who would call ourselves completely open-minded. After I watched Frantz and realized that it was perhaps the best film I’d seen all year, I caught myself acting surprised that a few foreign films always make it to the top of my annual list, as if they were a genre all their own and I was paying them far too much attention. I had to take a step back and remind myself that there was no reason that another country couldn’t make a singularly excellent movie, that nations all over the world are producing startlingly good theatre, that their being in a different language than English doesn’t make them similar, sub par, or separate. Why shouldn’t an amazing film that caught enough attention to make it over to American audiences be one of the best of the season? This seems so simple, yet even I, a progressive film critic, can be blinded by my own ego and culture, something that can only be defeated by acknowledging its existence. I say all this to make a point, sure, but also to remind myself to be on the lookout for standout cinema, wherever it may come from, which is a category that Frantz absolutely falls into. World War I has ended, leaving France victorious and Germany defeated, as both sides collect their breath and their dead after years of vicious battle. For Germans, it is a difficult time, reconciling their love of the Fatherland with their desire to be at peace, licking their own wounds while mourning over those who died at the Front. The Hoffmeister family lost their only son, their precious Frantz, who was an artist, a poet, a young man with his entire life in front of him, not a mindless soldier desperate to kill. His father, a doctor, can’t see past his son’s death, can’t rejoin his party of old men who were themselves the ones who supported the war effort, who pressured the children of their nation to go fight. Frantz’ fiancee, Anna, can’t recover from the sadness of her loved one’s passing, can’t picture a future without him, and can’t move on when every happy moment seems like a betrayal. The family’s grief is a sharp thing, a dangerous weapon that pierces anew each time Frantz’ name is mentioned, yet they also don’t want to forget. And when a stranger enters the town, their memories come rushing back with a healing power that might actually allow them to live again. The young man is French, visits Frantz’ grave, and claims to be a friend from before the war, a friend from Paris in a time that now seems so idyllic. Anna and Adrien feel a spark immediately, connected by their love for what they have lost, reminding each other that life goes on no matter how unimaginable that idea might seem for a time. But Adrien is keeping a secret, a truth that will shatter the family apart, one that might also drive him mad with grief, even as he and Anna begin to enjoy a German spring that feels like a gentle stream of fresh air to the land, to the town, and to the soul. I’m not sure how this film was able to capture such a variety of emotions in such a short period of time, how it was capable of displaying such compassion while exhibiting such anger, the fact that is felt so effortless only aiding in my belief that Frantz is something special that American audiences need much more of. It’s a foreign feature that I desperately hope will be represented at the Oscars, because we need to remember that we are not the only ones making movies, that one label doesn’t define an expansive variety of films that we so often ignore but that have the potential to blow us completely away. 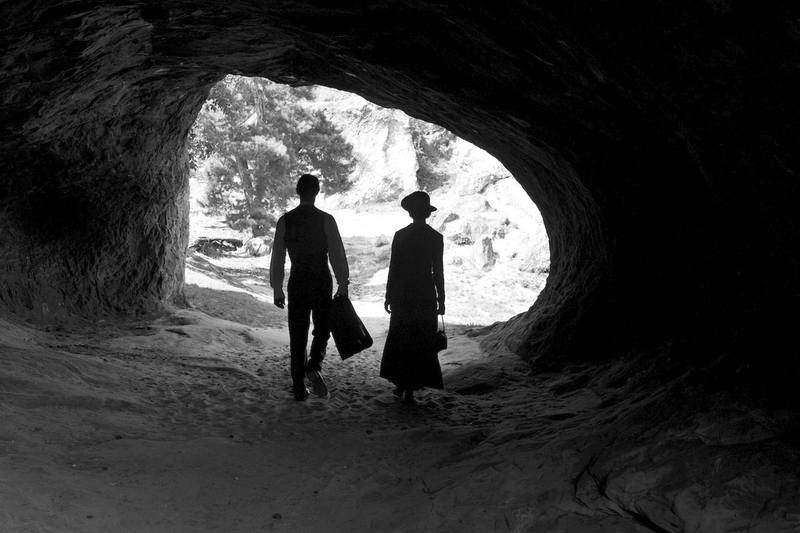 Frantz did that to me, made me breathless with the power of its story and the simplicity in which it was presented. That might sound over-dramatic, but take my raving as a challenge and watch it for yourself; its beauty won’t disappoint. Explaining why I feel this way will be more difficult than simply gushing, but I’ll try my very best. For one, the film is visually stunning. Shot mostly in black and white, it uses color when necessary and to make a certain point, something that never felt gimmicky, just lovely. The German town felt so real, the way the scenes were shot felt so classic, the characters were so honest; it was like being transported back to 1919 and coming to the decision that you might never leave. The director, Ozon, who also crafted the shockingly good Swimming Pool, gave every shot a purpose and a meaning, somehow without forcing them to feel overly-artistic and manipulated. Then there are the main characters, Anna and Adrien, who could not have been more perfect. We watched the plot develop through Anna’s eyes, and Beer was a wonderful representative of what the film was trying to display. Tragedy, romance, nationalism, despair, deceit, and ultimately love; what else could you ask for? Video – With an aspect ratio of 2.35:1 Widescreen and shot using an Arricam LT camera with Zeiss Master Prime and Angenieux Optimo lenses, and an Arricam ST camera with Zeiss Master Prime and Angenieux Optimo lenses, the video quality of this film is excellent in its clarity, its cinematography, its simplicity, and its use of color, or lack thereof. Most of the film is done in black and white, with moments of modern color brought up like house lights when the mood calls for it, but not overused as a gimmick or cheapened in any way. Audio – The DVD was done in French and German audio 5.1 Dolby Digital, with an option of French and German audio 2.0 Dolby Digital. Subtitles are available in either English or French. The sound quality of the film is excellent, with a great and smart use of music to convey emotion and to give audiences a sense of time. Violin featured throughout and was lovely to hear, as was the traditional music of towns in both France ad Germany. Extras – There are quite a few special features on the disc, for those wanting more from this exceptional feature. Director Q&A with Francois Ozon is a 17-minute sit-down with the film’s creator. Scenes from the Venice Premiere is a 5-minute stroll down the red carpet and a glimpse of the awards stage. Deleted Scenes holds 12 minutes of extra footage not used in the film. Costume and Light Tests is 5 minutes of on-set test footage. Poster Gallery is 2 minutes of a variety of still frames of posters for the film. And lastly, there is a theatrical trailer for the movie. DVD Talk Collector Series. Released in 2016 in Europe, released in 2017 here, Frantz is one of the best films of the year, no matter which year you pick. It’s a foreign film that deserves much more than a simple label, that deserves a much wider audience. As so often happens, this story’s brilliance lies within its resolution to not overpower, to give us a finite plot that is filled with powerful emotions, not one that needs to bludgeon us with action and twists. There is just enough drama, just enough romance, just a hint of mystery, that audiences are sucked into this world, but never so much that we feel drowned. The video is appealing, the sound well-balanced, the extras plentiful, so those looking for technical prowess fill find that here as well. Feel confident to try this under-the-radar picture, this Franco/German, black and white, artistic tragi-drama, even if those labels make you nervous; you won’t be let down.